Dr. Robert M. Feldman, M.D. Dr. Robert M. Feldman earned his medical degree at the Chicago Medical School. He completed a residency at the University of California-San Diego, a research fellowship at Wills Eye Hospital in Philadelphia, and a clinical fellowship in glaucoma at Baylor College of Medicine in Houston. Dr. Feldman chairs the Department of Ophthalmology and holds the Richard S. Ruiz Distinguished University Chair at the Cizik Eye Clinic of the University of Texas Health Science Center at Houston (UTHealth) Medical School. A member of the UTHealth faculty since 1995, he has been consistently recognized for his achievements as a teacher, researcher and practitioner. He is a recipient of the American Academy of Ophthalmology’s Achievement Award and has been recognized for his work to advance research and technology in the field of ophthalmology. 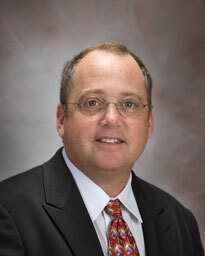 Board certified in ophthalmology, Dr. Feldman’s clinical and research interests focus on adult and pediatric glaucoma. He treats patients of all ages and speaks Spanish. Dr. Feldman’s practice philosophy is to provide a full range of services and unparalleled patient care and education. He strives for the best possible patient outcomes, utilizing decades of experience in both research and practice to deal with the most difficult glaucoma problems, including those that can't be cared for anywhere else. A Highland Village resident, Dr. Feldman is married and enjoys fly fishing and traveling in his leisure time. Dr. Feldman co-wrote an article on childhood glaucoma published in Gleams, a publication from the Glaucoma Research Foundation.